The town is back in FULL swing. New businesses are opening, all those that closed for vacation or refurbishing are back open and Ambergris Caye seems like it is bustling. But before I get to any of that there is some SERIOUS excitement in Belize. 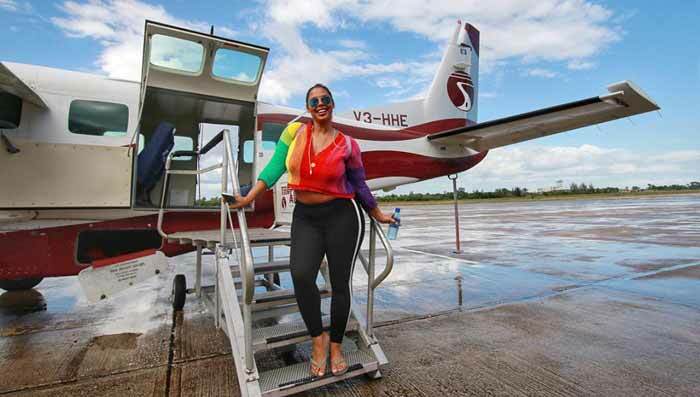 THE SIX MODEL FINALISTS FOR THE 2018 SPORTS ILLUSTRATED SWIMSUIT ISSUE ARE HERE ON AMBERGRIS CAYE. Meet them all here. Here is a picture from the SI Swimsuit Instagram account of the photoshoot – GOING ON NOW – at Mahogany Bay Village. Check out the account for some short videos too. 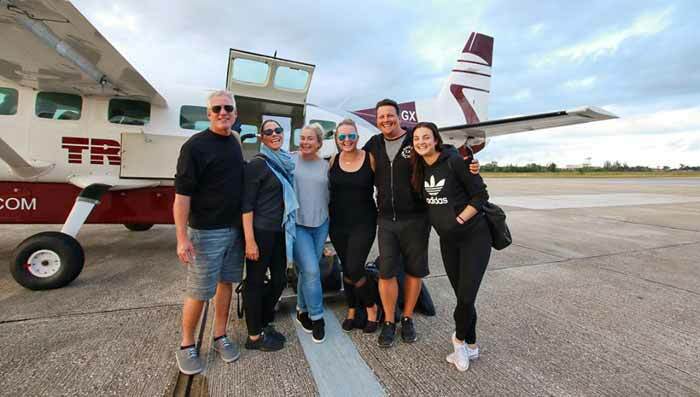 Tropic Air welcomes @si_swimsuit models, editors, photographers and makeup artists to Belize for their shoot! Have a blast on our hometown ladies. They're the final six participants in Sports Illustrated's #SISwimSearch, which featured an open casting call to find the next Swimsuit rookie. And it will no doubt be a tough call when the judges are tasked with picking the winner, if the girls' antics in Belize are any indication. All six finalists were flown to the tropical nation for a shoot that will end up in the SI Swimsuit 2018 issue as a part of this year's Model Search class spread. Allie Ayers, 23, joined Olivia for some ocean fun, which included snorkeling, specifically with sharks. Allie seemed to have a particularly good time in a very flattering Baywatch-esque red one piece. She accessorized with glasses and some blue flippers. Iyonna Fairbanks, 25, stole the show during a group shot thanks to her forest green one piece swimsuit. For four days International photographer Yu Tsai photographed the models at Mahogany Bay as well as other destinations on the island. The six models included Olivia Jordan, Allie Ayers, Haley Kalil, Camille Kostek, Iyonna Fairbanks, and Tabria Majores. While some of the women had pageant and modeling experience, others are considered novices. 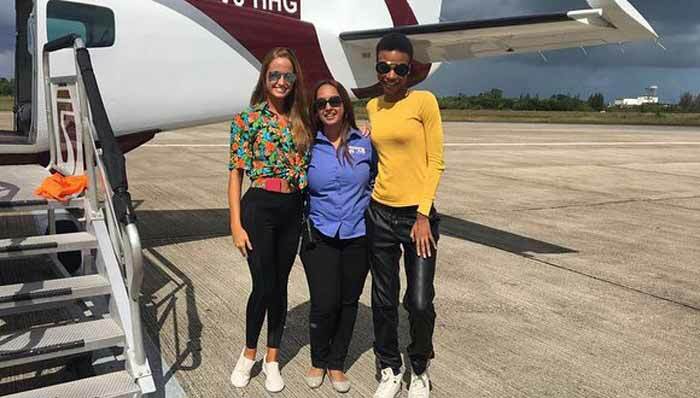 Model Olivia Joran was Miss USA in 2015 and the second runner-up at the prestigious Miss Universe beauty pageant also in 2015, Ayers has a couple years of modeling experience under her belt, while Fairbanks, Kostek, Kalil, and Majores are somewhat new to the experience. However, all the participants hope that this opportunity will open more doors for their modeling careers. Sports Illustrated Swimsuits is a branch magazine of the iconic American Sports media franchise, read by 23 million people weekly. Their very first Swimsuit Edition was published in 1964 and has become an international success. This issue features “Beauties, Beaches and Bikinis” in exotic areas throughout the world. This, not the first time Belize has been featured in Sports Illustrated. In April of 1972, the magazine featured an article titled, “Land of Wild Men and Fame Devils” written about the life of the Jewel. The photoshoot concluded on Saturday, November 18th. The images will debut in the swim and activewear fashion line appearing in the Sports Illustrated 2018 Swimsuit Edition, release date to be announced.